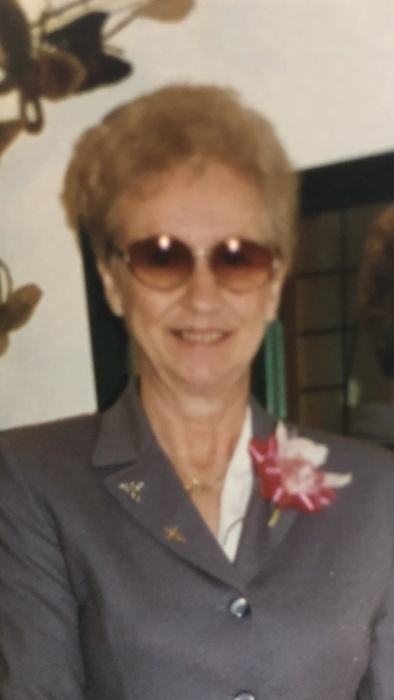 HURON - Margueritte (Maggie) J Mummey, 80, passed away, Wednesday, April 3, 2019, at her home in Huron. Maggie, was born Nov 28, 1938 in Sandusky and lived in Sandusky, then later in Newark OH, and then Huron. She loved working with people and had a very loving spirited attitude. She was active in craft shows where she sold her handmade items. She had a caring heart and enjoyed spending her spare time knitting scarves for children at Shawnee School, Huron, for the past two winters. She enjoyed traveling, fishing, and life’s pleasures, but mostly enjoyed sharing with her family. She was loved dearly and will be missed by her family, friends and many at the Reserve in Huron where she lived. She is survived by her children Ronald (Nancy) Funni of Sandusky, Juleen (Gary) Mummey of Ontario, Stephen (Annette) Funni of Monroeville and Sherry (David) Cooner of Huron; eight grandchildren; and six great grandchildren; a brother, Chuck Ostheimer Everette, of WA; and nieces and nephews. She was preceded in death by her husband of seventeen years, Richard Mummey, in 2000; her parents Otto and Ruth Ostheimer; sister, Beverly, and brothers, Walter & Otto. Calling hours to celebrate her life will be 5-7p.m. on Monday April 8, 2019 at Foster Funeral Home & Crematory, 410 Main Street, Huron, with a Prayer service being led by Sister Mary Kenneth Ostheimer, SND. Burial will be at Wilson Cemetery in Newark, OH, beside her husband Richard Mummey with a graveside blessing. Memorial contributions may be made to the Huron Rescue Squad, 413 Main Street, Huron, 44839. Online condolences may be shared at www.fosterfh.com.